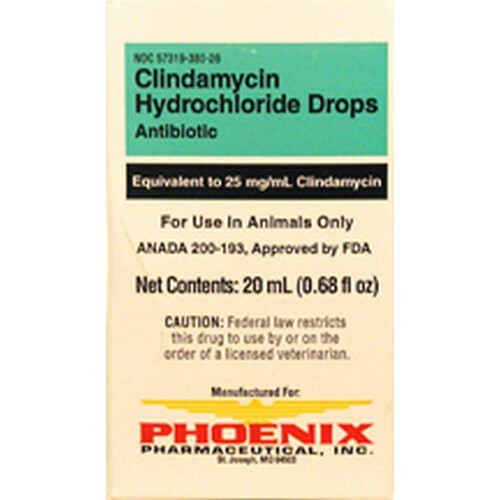 Clindamycin Hydrochloride Drops (clindamycinhydrochloride liquid) contains clindamycin hydrochloride which is the hydrated salt of clindamycin. Clindamycin is a semisynthetic antibiotic produced by a 7(S)-chlorosubstitution of the 7(R)-hydroxyl group of anaturally produced antibiotic produced by Streptomyceslincolnensis var. lincolnensis.